Summer is a time of holidays and vacations, a carefree time of rest and relaxation away from the urban jungle. At this time of year you always find a need to be closer to the clean, refreshing water, breathe the air that is not polluted, relieve stress and gain strength for a whole year. More frequently in summer people used to choose to go to the seaside over the mountains. Mountains suit better for skiing in winter. 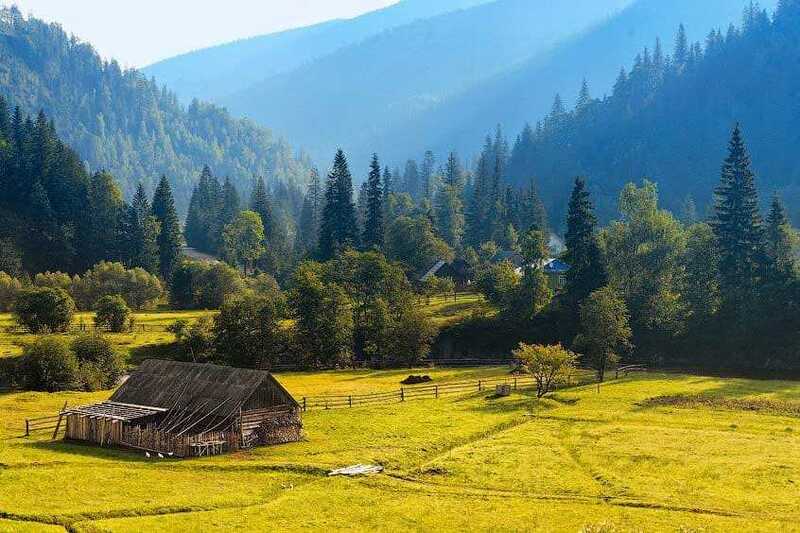 However, very few people know how beautiful the Carpathians are in the summer. Subcarpathia is a magical land with centuries-old traditions, breathtaking nature and friendly citizens. There is no smoke pollution that can poison the curative fresh air. One of the most popular resorts of the Carpathians is Truskavets, which in 2000 was recognized as the cleanest city in Ukraine. Truskavets is a legendary small town with a long history, surrounded by coniferous forests and is famous for its healing mineral waters. Here is concentrated a large number of sanatoriums, clinics, balneological resorts, hotels and rest houses. One of them is the recreational villa-hotel "Higina SPA". 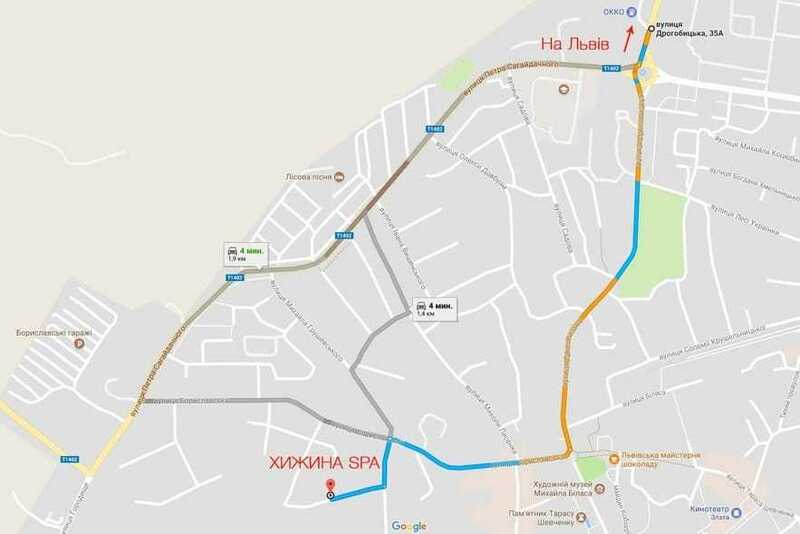 Advantageous location of the “Higina SPA", which is next to the forest, but at the same time very close to the urban infrastructure, will allow you to have a little break from civilization. The villa has 45 comfortable rooms with all necessary things (including wireless internet Wi-Fi). Each room can accommodate up to 4 people and is decorated in the style of an exotic tropical bungalow. By staying here you will feel like in paradise. Just imagine: a swimming pool with hydromassage, a Roman steam room with Carpathian herbs, an aromatherapy room, a sauna, a salt cave, a massage room - all in a building made in the style of a wild tropical cave. All your stress and fatigue will be carried away with the murmur of the waterfall. In the SPA center, any guest can enjoy royal care from the German trade mark "Babor" and the French "Mary Cohr". We also offer a variety of massages, wrappings, water procedures and peelings. Do not worry about manicure, pedicure and depilation - our cosmetologists will help you remain irresistible. Truskavets is worth visiting the whole family. Both adults and children will be interested in unusual traditions of this region, walking in the fresh air and not boring excursions. By the way, for children in our hotel there is a separate menu, including diet menu. In the "Higina Spa" there is a small cozy cinema hall where it is so nice to relax in the evening by watching a fascinating movie, and a restaurant in which you can retire with your beloved one for a romantic conversation. Carpathians are famous for their wickerwork, wool products, healing waters and organically pure food - cheese, honey, forest berries. Local residents have so much to offer to wine and cognac lovers. Fans of herbal teas will never forget the inexpressible bouquet of aromatic Carpathian herbs. Lovers of "quiet hunting" will be delighted if they come to visit us during the season, walk in quiet cool forests and return with baskets full of Carpathian ceps and boletus. It is cheaper to book a vacation in the Carpathians than at the sea. In the mountains there is no seasonality, so the owners of recreation centers and boarding houses do not try to "squeeze out" a maximum of short summer months. Housing prices can range from 35 UAH for a place in the private sector to 1200 UAH for a hotel room. Anyone will be able to choose the most suitable option. The prices do not "bite» in the entertainment facilities, as well as in cafes and restaurants (and the Carpathian cuisine has something to offer their guests). Truskavets can offer a vacation to any wallet size. Vacation in the Carpathians will strengthen your health and give a lot of positive emotions. Come to the mountains and be charged with their inexpressible energy for a year ahead!